He presidential villa and got money a day after the death of MKO Abiola. Al-Mustapha said the Yoruba leaders stormed the villa angry but that by the time they came out from the meeting, they were excited As the south-western part of Nigeria celebrate yet another anniversary of the annulled June 12, 1993 election, former Chief Security Officer (CSO) to late head of state, General Sani Abacha, Major Hamza Al-Mustapha, has revealed that some Yoruba leaders know who really killed late Moshood Abiola, its alleged winner. Al-Mustapha, who was only released from detention some months ago over allegation of being behind the death of Kudirat, the wife of Abiola, categorically said some Yoruba leaders, led by Chief Ayo Opadokun, knew what killed the alleged winner of the election. 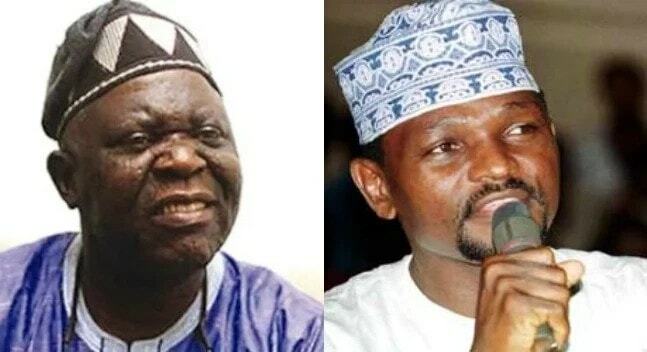 Speaking in Kaduna on Monday, June 12 shortly after he met with stakeholders from the north and the south-easter, Al-Mustapha said the Yoruba leaders received bribe in dollars from killers of MKO Abiola. Al-Mustapha alleged that Ayo Opadokun and some other Yoruba leaders received money from Abiola's killer According to Al-Mustapha, Opadokun led others to the Presidential Villa to meet Abiola’s killers, but came out laughing after receiving dollars, just a day after their leader (MKO) was killed. The Nigerian Tribune reports that Al-Mustapha claimed he had a tape of how Opadokun and others collected bribe over Abiola’s death. He added that he had since submitted a copy to a Lagos High Court, presided over by Justice Mojisola Dada. “Chief Opadokun is someone I respect so much as an elder. But what came out in the newspaper is his own imagination and falsehood against me. ‘If you know my character, you will know that, I will not be scared to say the truth, it doest not matter who, it does not matter where, but you will later realise that I told you the truth. “I initially didn’t want to reply him, but now that you have asked, I will tell you what happened. “When Abiola died, a day after, he (Opadokun) was invited to the presidency and he came to the villa alongside his friends. Al-Mustapha alleged that Abiola was actually killed “He came with anger into the villa. Those who killed Abiola invited him to the villa. “At that material time, they came to fight the government, they wanted to set the country ablaze, considering the tone they came with. They went into the meeting, they came out laughing, yelling and gearing as if nothing happened in the country. 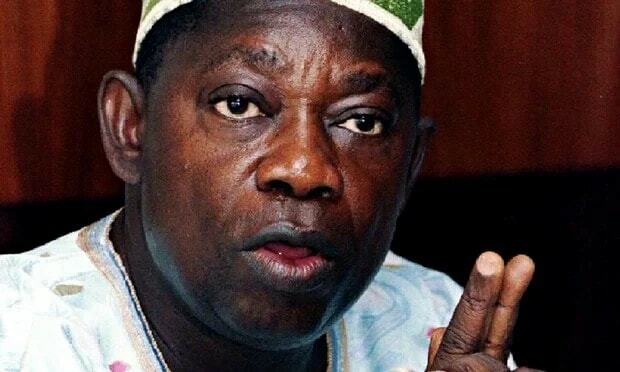 “A day after Abiola’s death if you remember, the country was on the verge of collapse. But seeing what was going on and the things around Abiola led me to suspect them, I had not handed over the villa to Abdulsalami Abubakar government then, so I decide to video tape what they were doing and I have the tape and I have tendered the tape before a court of law, before Justice Mojisola Dada of the Lagos High Court. “In that tape, money exchanged hands and they traded with Abiola and that is my anger. The tape is in that court, anybody that wants to watch it can get it and watch, it is now a public document. “I didn’t want to talk about it before, but money was brought from CBN in my presence and it was shared. "So, if I talk about Abiola’s well-being and safety, and that of his family, I am telling Nigerians what really happened. Yoruba land where culture is the watch word, late MKO Abiola was the last Aare Ona Kakanfo and for a Yoruba man of Opadokun’s standing, going against Aare Ona Kakanfo, what is that thing, I tell you, it is dollars. Thank you very much, I will speak more on this much later God’s willing,” Al-Mustapha reportedly said. NAIJ.com earlier reported that Major Hamza Al-Mustapha, the former chief security officer (CSO) to late head of state, General Sani Abacha, and the leader of the Movement for the Actualization of Sovereign State of Biafra (MASSOB), Ralph Nwazurike, are currently holding a peace meeting over the quit notice issued the Igbos in the northern region.